and cost-effectiveness of a legal boutique. Luttrell + Carmody provides creative yet pragmatic strategies for our clients by combining significant business experience with comprehensive knowledge in our practice areas: Banking Law; Bankruptcy; Commercial Litigation; Creditors’ Rights; Civil Litigation; Personal Injury; Employment Law; Corporate and Transactional Law; Probate and Probate Litigation; Estate Planning; Municipal Law; Real Estate Law; Landlord and Tenant Disputes; and Transactional Real Estate Law. With our extensive experience and our passionate approach, we handle a wide range of matters for clients who regularly bring their most challenging and complex problems to us. We have successfully represented (on both sides of the docket) a diverse spectrum of clients and cases including large corporations, small businesses, financial institutions and individuals...nation-wide. 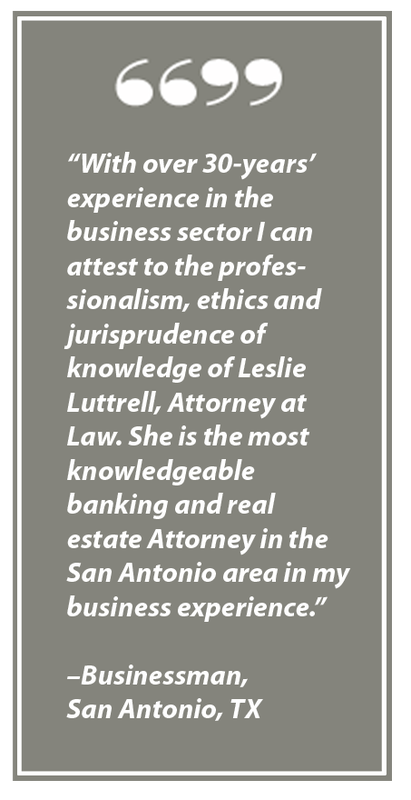 At Luttrell + Carmody, all our attorneys are partners in the group...each with over 20 years experience and expertise in their respective practice areas. This ensures that each client and case receives the attention and energy of an experienced law partner. We work hard to make certain that our clients get the most skillful, tough-minded, cost-effective, and successful representation possible.